The Harcourts Foundation, the charitable arm of Harcourts Group Australia, announced grants to 14 Australian charities during its most recent quarterly funding round. A total of $51,740 was donated across Australia to benefit charities serving the communities where Harcourts employees live and work. Goolwa is rated as the most dangerous patrolled beach in SA and the 10th most dangerous in Australia. 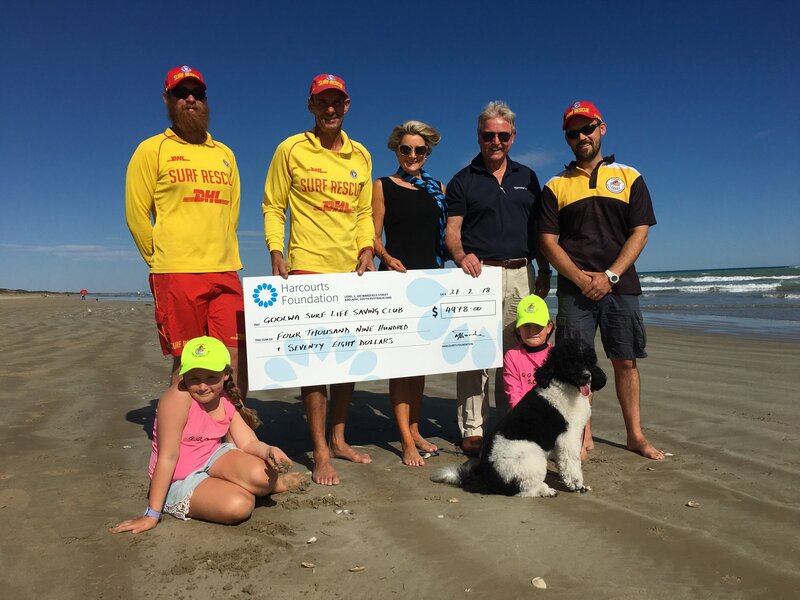 Established in 1927, Goolwa Surf Lifesaving Club, currently with 208 members, are responsible for providing a safe beach environment for the local community by patrolling one of the largest distances in South Australia – from the Murray River mouth to Middleton Point – a distance of 20kms. Rescue boards (adult and nipper) are integral equipment for their patrols and provide safe rescue of swimmers and beach visitors during surf & beach surveillance. This grant will be used to purchase two adult and two nipper boards. Miracle Babies Foundation is Australia’s leading organisation supporting premature and sick newborns, their families and the hospitals that care for them. Every year in Australia around 48,000 newborn babies require the help of a Neonatal Intensive Care Unit (NICU) or Special Care Nursery (SCN), with 27,000 of these babies born premature and up to 1000 babies losing their fight for life. This grant will fund 100 Neonatal Intensive Care Unit (NICU) Survival Packs for families with babies admitted at the Royal Hobart Hospital in Hobart, Tasmania. The survival packs are packs provided to families on admission to the NICU containing vital resources to support them during and after their baby’s stay in hospital. Epilepsy Tasmania has been improving the quality of life and community participation of Tasmanians living with or affected by epilepsy for over 40 years. Recent research indicates that 2/3 of Tasmanians do not drive a car and many are significantly isolated because of poor public transport options, and as such information available online is more accessible than calling or walking into an organisation. The grant will go toward updating the website to reflect current services, activities and social media profiles, with the goal to reach all 80,000 Tasmanians living with or affected by epilepsy. 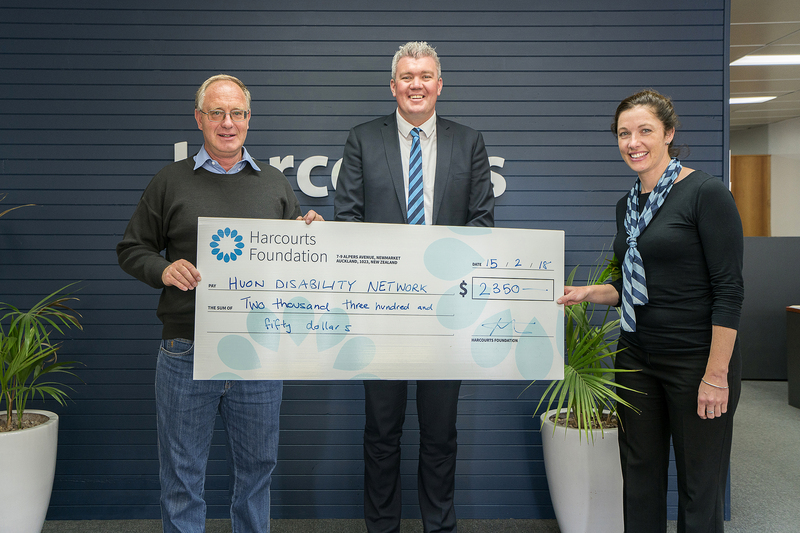 A grass-roots organisation of families and people living with a disability, Huon Disability Network (HDN) is the only of its kind in Tasmania. HDN have partnered with Baptcare – the NDIS partner in the South of Tasmania responsible for rolling out NDIS in the Huon and Channel area – to organise the second You+Me=Community Festival. The festival aims to 1) Change people’s mindset about people with a disability and create opportunities for people with a disability to show that they are active citizens, 2) Provide support for community members living with disability in southern Tasmania, 3) Creating community links and connections between people with a disability, community groups and service providers in southern Tasmania, 4) Building capacity within the Disability Community in southern Tasmania, 5) Reduce isolation of people with a disability their families and carers in southern Tasmania, 6) Scoping of the needs of people with a disability in a coordinated planned manner, and 7) Have fun. The Compass Institute is a Sunshine Coast-based charity proving support for people with intellectual and/or physical disabilities. Compass have established nine small “social enterprises” that specifically provide flexible employment and on-the-job training for young people who would not otherwise be able to find employment. This grant was sought to set up vegetable-growing planter boxes (including a shade) for the trainees to grow and nurture and learn new skills, with the products to be used for different opportunities, including seasonal hampers. 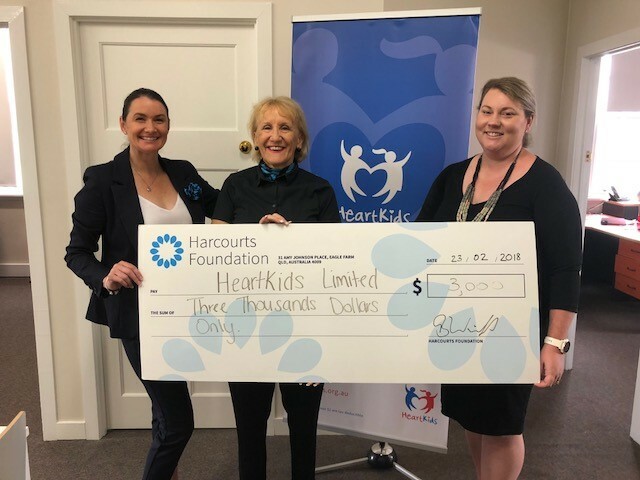 HeartKids exists to improve the lives and future of infants, children, youth and adults affected by childhood heart disease (CHD) across Australia. This support is a commitment for life -because there is no cure. HeartKids Teen Camp 2018 provides youths (13-18 years) with CHD from across Australia the opportunity to undertake life-improving activities in a supportive environment, alongside a team of twenty medical personnel and volunteers. This grant will pay for staff, volunteer and youth shirts and welcome bags. Approximately 80-100 children between the ages of 13-18 will benefit directly from this event, as well as 5-10 Camp Champions (a mentoring role for past campers 18+ years of age) and 20 medical and non-medical volunteers. Teen Camp 2018 takes place from Monday 9 to Friday 13 July 2018 at the Bornhoffen PCYC Leadership Development Centre in Natural Bridge, Queensland. Orange Sky, a national support charity of The Harcourts Foundation, is a free mobile laundry service for people experiencing homelessness, providing clean clothes and non-judgmental conversation to people in need. They believe being positively reconnected to the community is incredibly important for our homeless friends, many of whom are shunned or ignored by much of the community. Funds raised by Harcourts Kalamunda at their fundraising Dinner Dance in October 2017 will contribute to the ongoing operation of a laundry van, specifically covering costs associated with volunteer recruitment and training, including specialised First Aid Mental Health training for new and existing volunteers. Kevin Heinze GROW works with children and adults of all abilities to provide, enhance and promote the benefits of horticulture-based therapy. Therapeutic horticulture has a long history of contributing to the health and well-being of aged care residents, people with disabilities, those in recovery or rehabilitation and people with mental health disorders. This in turn can contribute to an increase in confidence leading to higher participation rates in employment and social activities. This grant will be used to complete and launch a program offering tailored therapeutic support to children and young people who has experienced trauma. Cystic Fibrosis (CF) is the most common genetic, life-shortening disease in Australia, with no cure. A degenerative condition, it destroys the lungs and digestive system, so sufferers find it hard to breathe and digest food. Cystic Fibrosis Queensland supports Queenslanders with CF, and their families, who live in every corner of the state, through education, psycho-social support, health services, physical activity and parking subsidies, accommodation during hospital stays, medical equipment (both loan equipment and subsidies for disadvantaged CF families), advocacy and research. 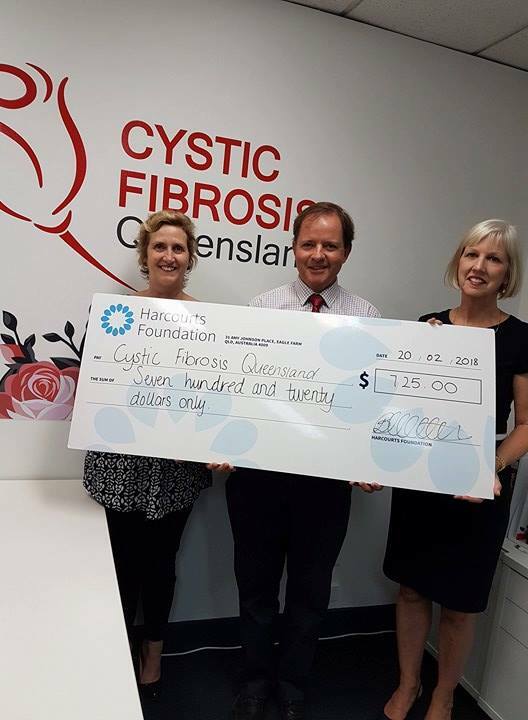 The funds provided by Harcourts Foundation will be used toward financial and equipment support for the families of children with cystic fibrosis, with at least half of it spent for emergency funding, and will assist up to 6 children with physical activity subsidies, or 15 families with parking subsidy, or 25 families with food vouchers. 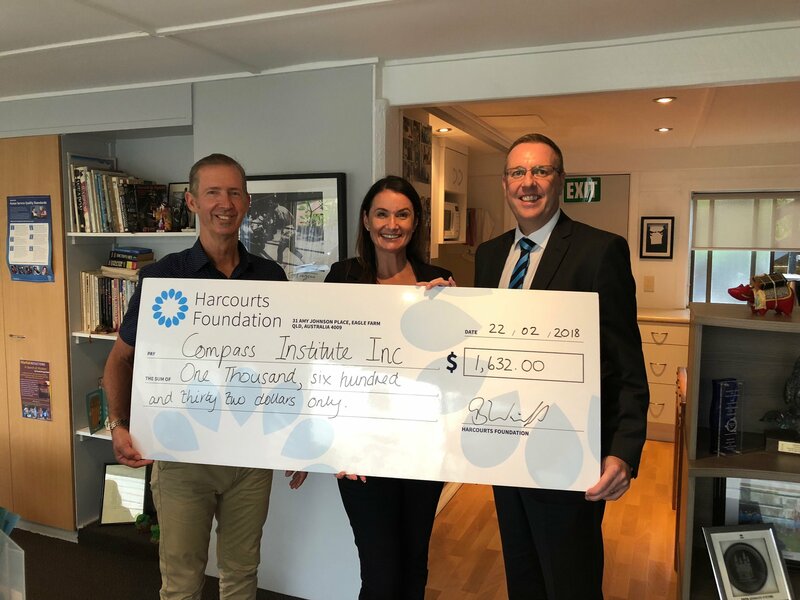 This grant was made possible by Harcourts Solutions, who donated items and participated in a Neighbourhood Watch Committee Garage Sale to raise these proceeds. Uniting VIC and TAS was founded through the recent joining of 21 UnitingCare agencies and Wesley Mission Victoria. Uniting build capacity and confidence in children, young people and families, people with disability, older people and people newly arrived in Australia. Meals for Change (MfC) is Ballarat’s café meals program supporting young people aged 15- 25 years who are experiencing or are at risk of homelessness. Members of MfC contribute $3.00 to the cost of their meal (up to the value of $15) in participating community cafés with those small businesses then reimbursed the difference from program funds. This grant from the Harcourts Foundation will fund the program’s meal reimbursement costs for the four-month period, February to May 2018, or approximately 408 meals. Miracle Babies Foundation is Australia’s leading organisation supporting premature and sick newborns, their families and the hospitals that care for them. Every year in Australia around 48,000 newborn babies require the help of a Neonatal Intensive Care Unit (NICU) or Special Care Nursery (SCN), with 27,000 of these babies born premature and up to 1000 babies losing their fight for life. This grant will fund 100 Neonatal Intensive Care Unit (NICU) Survival Packs (at a cost of $30 each) for families with babies admitted to the Neonatal Intensive Care Unit at the Royal Children’s Hospital in Melbourne, Victoria. The survival packs are packs provided to families on admission to the NICU containing vital resources to support them during and after their baby’s stay in hospital. The packs include Nurture, a guidebook to guide families through the NICU/SCN journey, a MiracleBabies NICU journal allowing families to document and create a memento of their baby’s early life, a keepsake item such as a knitted or sewn item donated by the community, information about NurtureGroups, our local community support groups, wipes and premature nappies. The Next Step is focused on patients of all ages who have suffered a traumatic event resulting in quadriplegia or paraplegia. In most instances they will have undergone a rehabilitation program through the Austin Hospital and Royal Talbot Hospital, and The Next Step individually-tailored services provide them with an extensive rehabilitation program to further their recovery, including exercise therapy, massage, acupuncture, nutrition and motivational encouragement. This grant will be used toward acquiring a piece of highly specialised rehabilitation equipment called a Gait Trainer and Unweighing System. Costing $52k (with $25k already raised), it is essentially a hoist and treadmill concept that allows people in wheelchairs to again feel what it is like being in a vertical position, utilised to fast-track recovery and improve life quality for an increasing number of people whose lives have been impacted by spinal cord injuries. Prostate Cancer Foundation of Australia (PCFA) is a broad-based community organisation and the peak national body for prostate cancer in Australia, dedicated to reducing the impact of prostate cancer on Australian men, their partners and families while recognising the diversity of the Australian community. PCFA achieve this by (1) Promoting and funding world-leading, innovative research into prostate cancer (2) Implementing awareness and advocacy campaigns and education programs for the Australian Community, health professionals and Government and (3) Supporting men and their families affected by prostate cancer through evidence-based information and resources, support groups and Prostate Cancer Specialist Nurses. PCFA relies on the generosity of individuals, the community and partnerships to carry out their essential work. Miracle Babies Foundation is Australia’s leading organisation supporting premature and sick newborns, their families and the hospitals that care for them. This grant will fund 100 Neonatal Intensive Care Unit (NICU) Survival Packs (at a cost of $30 each) for families with babies admitted to the Neonatal Intensive Care Unit at the Women’s and Children’s Hospital in North Adelaide, SA. The survival packs are packs provided to families on admission to the NICU containing vital resources to support them during and after their baby’s stay in hospital. The packs include Nurture, a guidebook to guide families through the NICU/SCN journey, a Miracle Babies NICU journal allowing families to document and create a memento of their baby’s early life, a keepsake item such as a knitted or sewn item donated by the community, information about NurtureGroups, our local community support groups, wipes and premature nappies.